Bill Sandonato’s CARF experience began in 1980 when he was named CEO of an organization that was on the verge of losing its accreditation. The organization was successful in achieving a 3 year accreditation and began Bill’s long association with CARF. In addition to continuing as a CARF surveyor, he currently works exclusively in assisting organizations prepare for first time accreditation and reaccreditation. He has been consulting and training with organizations throughout the country and internationally since 2002. In the past 15 years, he has provided assistance to more than 75 nonprofit and for profit organizations, specializing in Employment and Community Services (ECS) and Children and Youth Services (CYS), as well as the ASPIRE sections across all of CARF’s lines of business. He is versatile in working with large and smaller organizations. 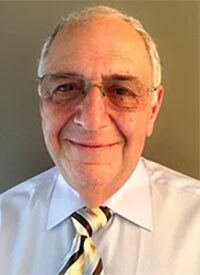 Although now retired from fulltime employment, he remains affiliated with ServiceSource and serves that organization in several capacities, including guiding his company through the continued accreditation process. Prior to retiring, Bill was Senior Vice President for Program Development for this large multi-faceted community rehabilitation organization with services in a dozen states. He also served as President and CEO of Abilities, Inc. of Florida for 25 years. His leadership in both capacities resulted in the development of innovative and entrepreneurial programs that met the missions and produced significant growth in revenue and reputation. He holds Masters Degrees in both Business Administration (Rehabilitation Organizational Leadership Specialty) and in Nonprofit Management, with a concentration in organizational development. Bill has held many leadership positions, including 6 years on the Board of Trustees of CARF (two as Chairperson of the Accreditation Committee) and, more recently, as a member of CARF’s International Advisory Board. A native of New Jersey, Bill has recently relocated to California’s Central Coast after residing in Florida for more than 30 years. In his role as a parent, he is also an advocate. His son, David, has a very significant disability and has been accessing services for more than 4 decades.